Looking for a safe haven for your money? Beirut probably isn’t the first place that comes to mind. 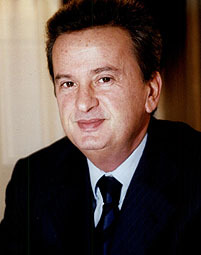 In 2005, he defied pressure from the Lebanese business community and bucked international trends to issue what now looks like a prophetic decree: a blanket order barring any bank in his country from investing in mortgage-backed securities, which contributed to the most dramatic collapse of financial institutions since the Great Depression. ….He says the mortgage-backed securities worried him from the start. He watched curiously as investment bankers engaged in what he calls “rituals” to please the credit ratings agencies and got back such safe assessments of their products. He didn’t get it. Why were these considered safe investments? They were just too complicated. They went against a major tradition in Lebanese and Middle Eastern banking: Know to whom you’re fronting cash and who’s going to pay you back. “Know to whom you’re fronting cash and who’s going to pay you back.” Words to live by.